Manual Stirrup Bender DM-12 Max. Ø Bending: 12mm.It´s able to make any type of stirrups and bend high resistance bars. This manual rebar bender/manual stirrup bending machine is able to fold several bars at the same time. It’s able to make any type of stirrups and bend high resistance bars. Manual Stirrup Bender DM-12. Max. bending Ø: 12mm. When you need to work on rebar processing, SIMA’s manual rebar bender is your best option among the manual stirrup bending machines on the market. Offering endurance, performance and flexibility, this stirrup bender is designed to meet the most demanding professional needs. 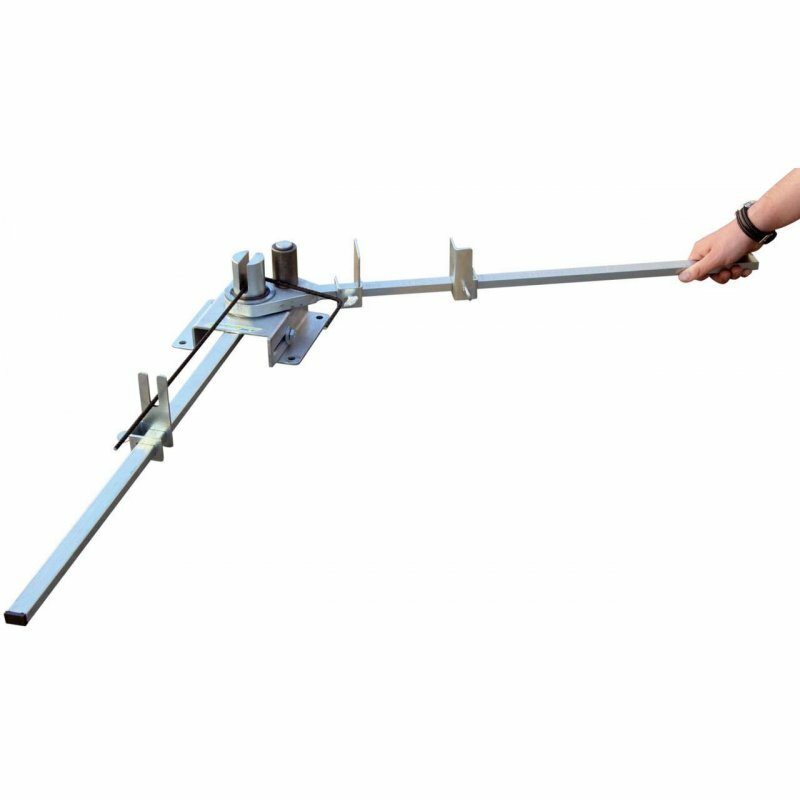 The DM-12 manual rebar stirrup bender offers a high level of productivity at the job site or in the workshop, with no need for a power supply or electrical connection. Trust SIMA with all your rebar processing needs, with free shipping and returns on manual rebar benders in the UK. When pouring certain concrete structures, rebar is essential for maintaining proper tension and strength. Stirrups are used to ensure proper spacing and alignment of the long rebar rods used to reinforce columns and beams and help them resist shear forces to keep them from buckling. How to use a manual rebar bender: it’s easy to form your own stirrups from rebar up to 12mm in diameter for this specific model. Read on, or watch the video “How to use a manual stirrup bender” below to learn how to use your manual stirrup bending machine. 1) Angle adjustment. Use a wrench to loosen the bolt on the base of the manual bar bender to slide the angle adjustment stop. When it is at the desired position, tighten the bolt again. 2) Length adjustment. To set the length of each side of your rebar stirrups, you have two adjustable stops on the swinging arm of the machine (one for length and one for width, or use only one stop for square stirrups). Use the attached wingnuts to loosen, slide the stop to the desired length, and tighten again. 3) Insert rebar. Being with the swinging arm at the 12 o’clock position (stationary arm at 6 o’clock). Thread the end of the rebar through the stirrup bender until it reaches the ruler stop. For long pieces of rebar, use the support on the stationary arm of the stirrup bender machine. 4) Bend stirrup. Grasp the end of the swinging arm firmly and swing it around towards you so that it bends the rebar until you reach the angle adjustment stop. 5) Repeat. Repeat this process as many times as necessary, using one ruler stop or alternating between two ruler stops, until you have your desired stirrup.